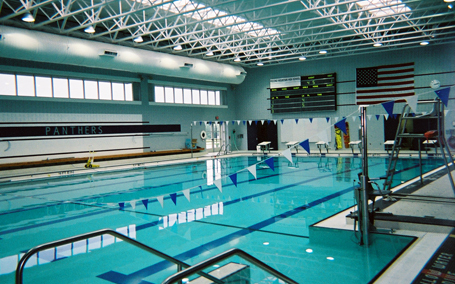 Counsilman-Hunsaker in association with Breslin Ridyard Fadero Architects designed a world-class natatorium for Pocono Mountain West High School. This venue is capable of hosting various levels of swimming competitions at the municipal, high school, and state levels. Through responsive planning and innovative use of materials and color, while working within a limited budget, the design encourages and exemplifies the unique educational approach of the school.